Ever wanted to build a YouTube on your website? Well, we have a solution to it. Here are the best top listed WordPress Video Themes in 2018 collection. But, before that let us understand why videos can be the best thing to happen to your website. Videos are a great way of getting traffic to your website. Various studies suggest that people are likely to stay longer on your website and even convert if the website has videos embedded in it. There are various ways to display the videos on the website, but one of the most popular trends is the video that plays in the background of your website. It makes your website stand out from the rest. WordPress makes it easy to upload or embed videos, and is a great platform to build your video website or a blog. So, if you want to build a video website or have a blog that is video-driven, then here are the top WordPress video themes that you must try. You can take a look at some other Premium WordPress Theme which are also awesome for business and portfolio. Let us look at each of them in detail. Video Stories comes with 7 Homepage Style, one Movie Page, and one IMDB Page. You can get movies data within one click while arranging a post. Perhaps, you can add self-hosted, YouTube, Vimeo, Social media videos into your Website. 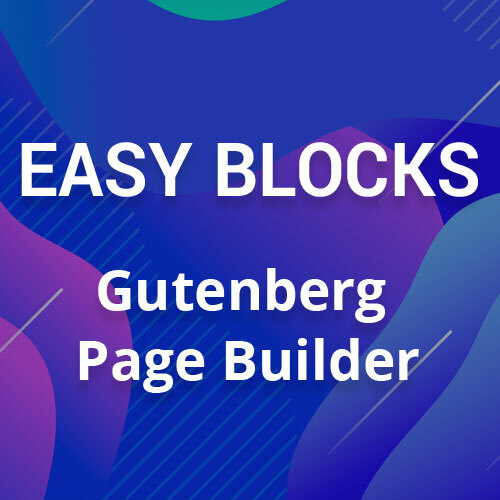 The page builder functionality will provide you fully drag and drop customization. You can redesign your website pages with the Page Builder. One of the most favorites in WordPress, The motion is a video blog theme that comes with a video slider and a grid layout. If you are planning to upload videos frequently, then the motion could be an apt theme as it shows the related videos on the side to enable the website visitors to see other videos related to the topic. Apart from that, the motion can make your video website responsive and give it a unique look and feel. It can also configure the website to upload HD videos. A simple but powerful video blogging platform, Vlog can make your YouTube, Vimeo, DailyMotion, Twitch or any other video and display it uniquely and beautifully. Vlog supports Video Importer – a plugin that helps in importing videos from YouTube and Vimeo. So, you can automatically import your videos and playlists to your website in just a few clicks! Vlog also comes with a unique feature called “watch later” that allows the visitors to save their video and access them later at their convenience. Another good part about Vlog is that it allows your visitors to watch videos in a cinema mode. Want to give your website a vintage look? Then Gigawatt is the theme to use. The best part about Gigawatt is that it supports multiple post formats and is one of the few themes that can integrate WooCommerce to create online shops. It is one of those few themes that allows you to create video content such as about products sold, on your e-commerce site. Gigawatt is easy to customize and contains multiple color layouts with responsive designs to resize the images and videos. It can also allow your homepage to display an unlimited number of videos in a categorized format. 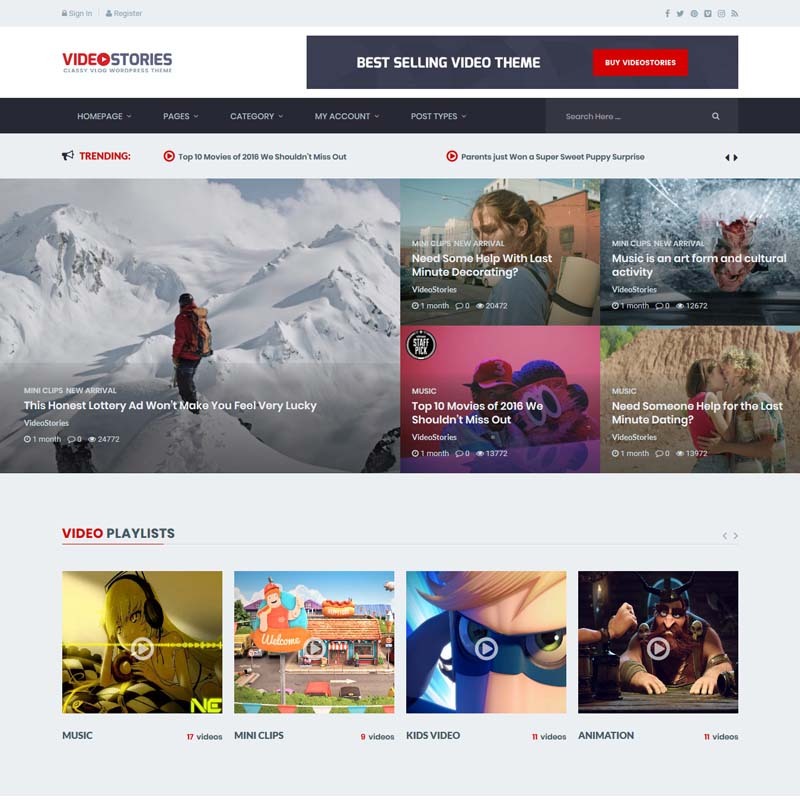 Video Tube is a WordPress theme that provides you with a responsive website template for your video websites. It comprises advanced features that enable users to share videos online. Video Tube is a versatile theme that is used in different type of streaming websites. Posting and sharing videos, using Video Tube is fast and easy. It is apt for making an interactive website where users can contribute their video and audio content. If elegance is the theme of your video website, Video Touch is the theme you must use. Video Touch is a full-fledged WordPress video theme that is easy to use and is customizable. It allows you to create a video website that displays self-hosted as well as embedded videos and provides tiled video previews, search option, and video categories that makes browsing and viewing of videos easy. A responsive theme, Video Touch enables the visitors to enjoy the videos on your website across all screen sizes. There are a large number of layout options, which you can combine to give a unique look to your website. This theme supports WooCommerce for e-commerce features. It also allows front-end submission of videos. You can create and edit page layouts with drag and drop layout builder. If you want to create a music video in your website, SocialPlay is the theme to be used. The best part about SocialPlay is its flexibility and its fully responsive WordPress theme that enables media syncing and sharing. So, if you do not want to upload all the audios and videos on the website, you can just upload them on video hosting websites, which can then be played on your website. Another good feature of SocialPlay is the search engine optimization. It can get your website a high ranking. If you create videos regularly and want the best ones to be shared on the website, then Snaptube is the theme to use. With extremely smooth layout design, this theme will make your website look more realistic from all devices. 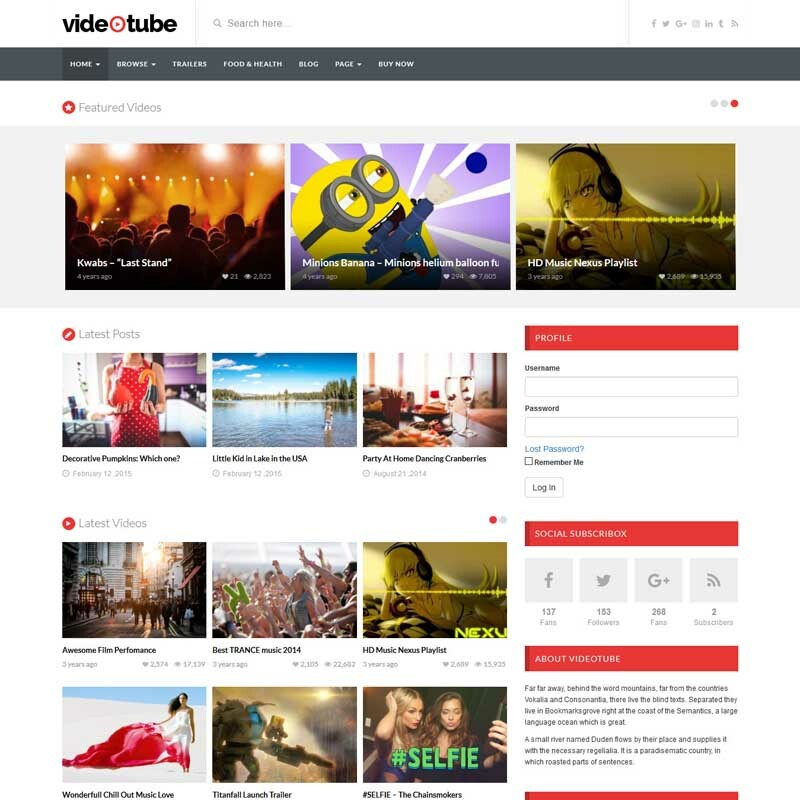 This gorgeous WordPress theme also allows you to embed YouTube, Vimeo, DailyMotion and self-hosted videos on your site and supports video advertisements like Postroll, Midroll and IMA advertisements. A default home page of this layout theme brings all the videos together to navigate them from one place. Each video thumbnail displays a caption with the play button including the length, thus allowing your visitor to get information about the video. It also helps you monitor the number of likes, views, and comments on the videos. Inspiro is a photo and video focused theme that comes with a beautiful full-screen slideshow that supports YouTube and self-hosted videos in the background. With widgetized homepage and gallery module, Inspiro is perfect for photographers and videographers to display their portfolio. The theme has a responsive design and can integrate the WooCommerce plugin to help you set up your shop online. One of the unique features of Inspiro is the lightbox that allows users to watch videos in a popup format and enjoy an enhanced experience. 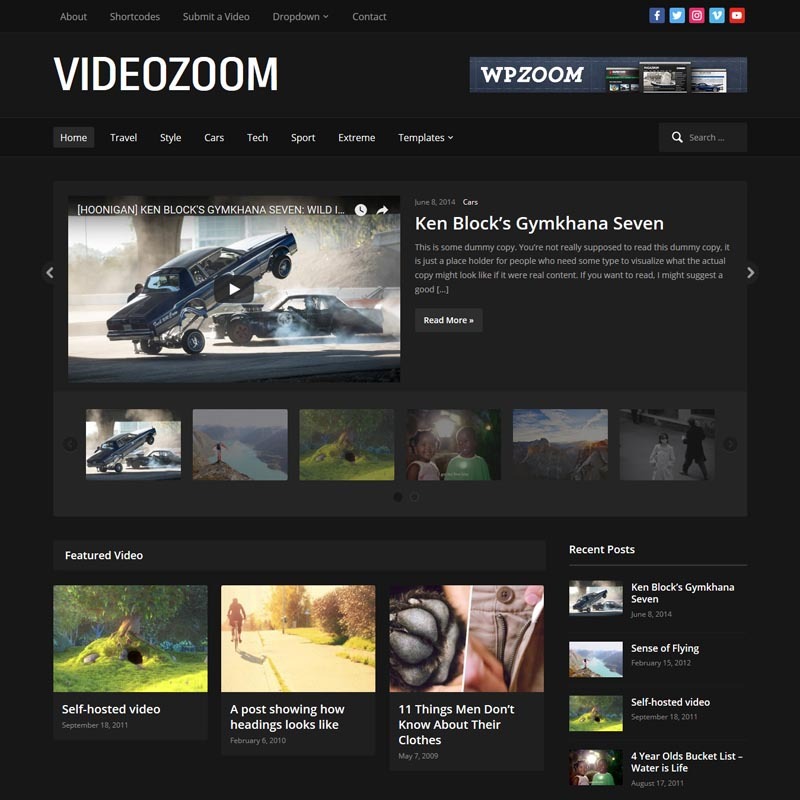 Videozoom is a stylish WordPress video theme used to build video websites and portals. It supports all the popular video embed and hosting services. It comes with a built-in video slideshow that allows you to display your best content. The Videozoom has an advanced theme options panel that enables you to customize every detail of your theme as per your needs. Magazinum is one of the unique themes that give your website a beautiful magazine-style look. It supports video thumbnails and comes with a built-in featured content slider. Its custom video widget allows you to display recent videos in the sidebar and comes with custom widgets to share your work on social media profiles and Flickr. These are just some of the WordPress video themes that you can use on your website or blog. There are plenty of them available. However, before you choose a theme, understand the objective of your website and the way you want your videos to be displayed and accordingly select the right one. That’s all for now. If you think we’ve missed any Best WordPress Video Theme then let us know. We will try to add the Theme to our collection too.